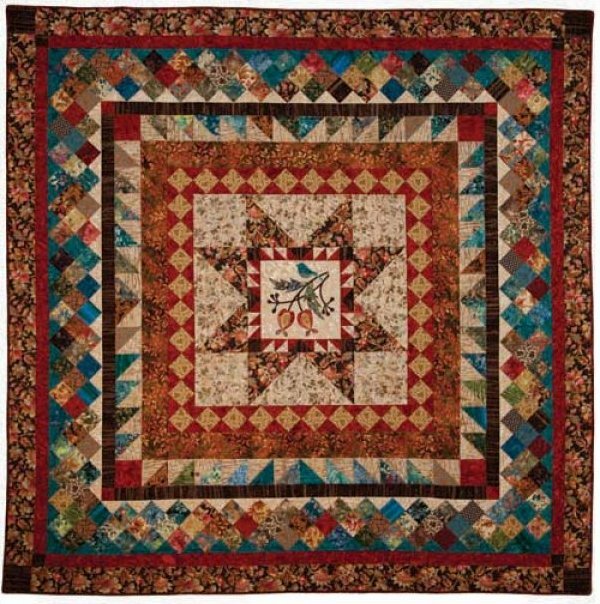 Reasons for Quilts, a beautiful new publication from Laundry Basket Quilts, features 82 Quilts including 9 project patterns from the CD of LB Favorites (disc included) as the focus for our Quilt Club in 2012. 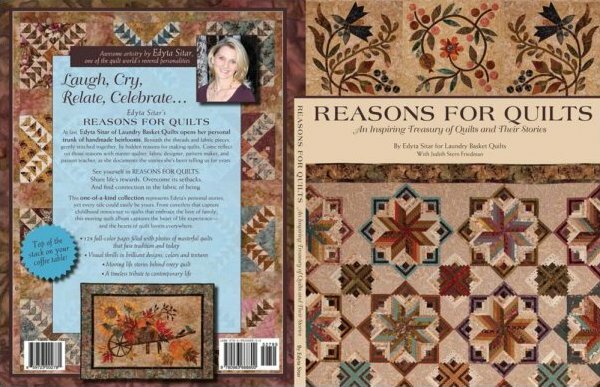 This book gives us plenty of reasons to quilt. Please join us for the year of learning and sharing. Bon Voyage Above. One of the 9 on the disc. Reasons for Quilts. 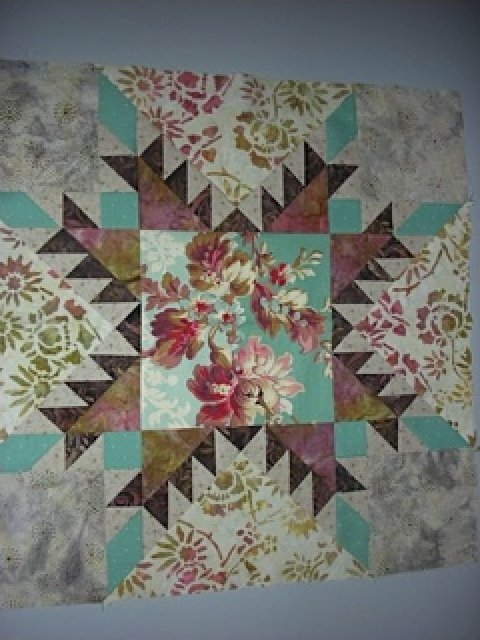 When I first picked up this book I thought, beautiful quilts but I can’t enjoy them until I get this book spiraled. So I stopped by Kinko’s and now I’m drooling over every page. Then the stories began to appear and now I’m totally immersed in the projects. 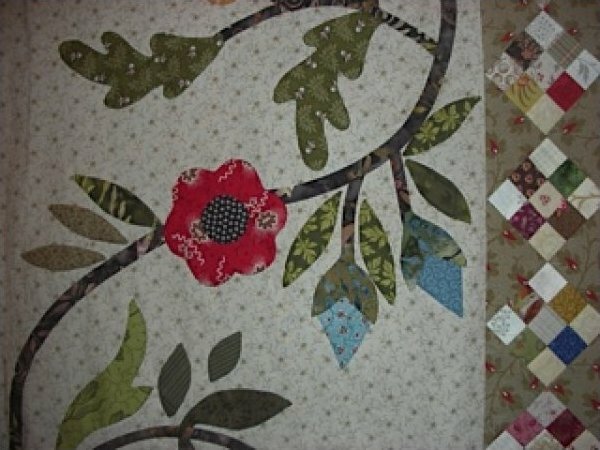 My first favorite is Bon Voyage, a quilt I saw at quilt market in Minneapolis in 2010. The blues and browns with reds here is fantastic as are all those lovely borders. It’s prints and batiks with a simple center appliqué of a bird and twig. Original size is 88 x 88. I hope to share one from Mo with a story to tell about the pattern and how it came to be. Ist Quarter 2012 Project: Reaching Out by Edyta Sitar. See Sue's and Nancy's below. Also, Feathered Stars to come.